Student’s Background: By 22, Angela had dropped out of high school, received her high school equivalency, married and divorced twice and had 2 kids. At the age of 27, Angela was diagnosed with Lupus. By 37, she had learned to manage Lupus so she decided to take the first step of following her dream of becoming a detective. She registered at BPCC – which she recalls was the “scariest moment ever, because I had never really followed through with anything. [At BPCC], I found myself.” Angela made the Chancellor’s list every semester. Outcome: Soon after graduation, the Bossier Sheriff’s Office hired her. 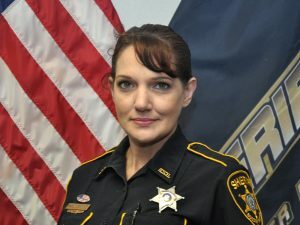 At age 42, she successfully completed her police academy training at the North Louisiana Criminal Justice Academy, earning her POST Commission. She was promoted to a Bossier Sheriff’s Office correctional trainer.